Africa is the old cow that produces milk after a love pat. This is exactly what is happening as China and the United States battle for supremacy in the continent. On the side, the United Kingdom, Germany and India want a share of that milk. A typical action symbolizing Africa Beyond Aid. However, listen to the speeches of African leaders who are championing the non-dependency mantra; they beg for grass to provide milk. It is not for nothing that British Prime Minister Theresa May will choose to dance in Africa at a time when the British economy is struggling under Brexit and the United Kingdom needs a support base to stay afloat. Africa is the old cow that produces milk after a love pat. This is exactly what is happening as China and the United States battle for supremacy in the continent. On the side, the United Kingdom, Germany and India want a share of that milk. If you can’t convince them, then confuse them. Alas, May visited South Africa, Nigeria and Kenya on her three-day Africa tour aimed at boosting the former colonists’ trade and diplomatic presence in the countries. She announced £4 billion ($5.1 billion) of extra British support for African economies in order for the UK to overtake the U.S. to become the biggest investor in Africa by 2022. “Kenya will retain its duty-free quota access to the UK market as Britain prepares to leave the European Union. The UK is already the largest foreign investor in Kenya,” May states as she met with Uhuru Kenyatta in Kenya. She made the same promises to leaders of Nigeria and South Africa including other offers from security to healthcare. Long before May could think of coming to Africa, China had already rooted its flag in the continent and they are the real competitors and not the United States which is losing painfully under an ignorant president. China’s president played his cards right by visiting the continent last month to deepen its stronghold. 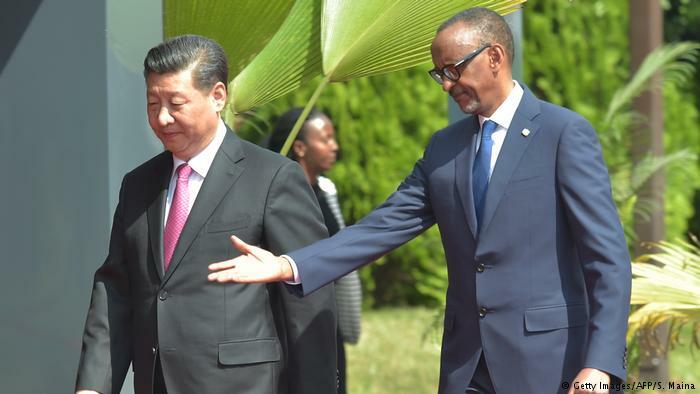 He visited Senegal, Rwanda, and South Africa cementing the “lasting friendship” which is making China the continent’s largest trading partner. Who else will get the resources if not China which is building all the highways, national monuments, dams and cities for “free”? By China’s side is India which is an emerging world power and would want a taste of the African milk. 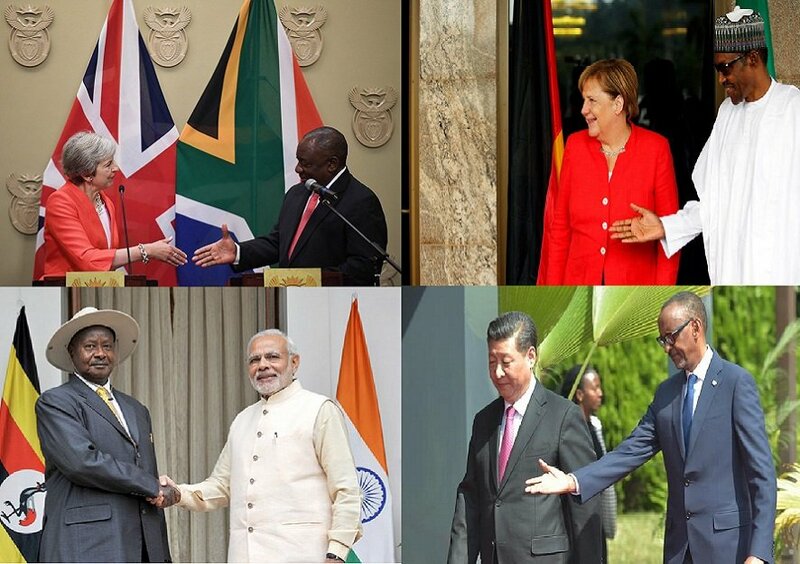 Prime Minister Narendra Modi also embarked on an Africa tour same time as China. He visited Rwanda, Uganda and South Africa. 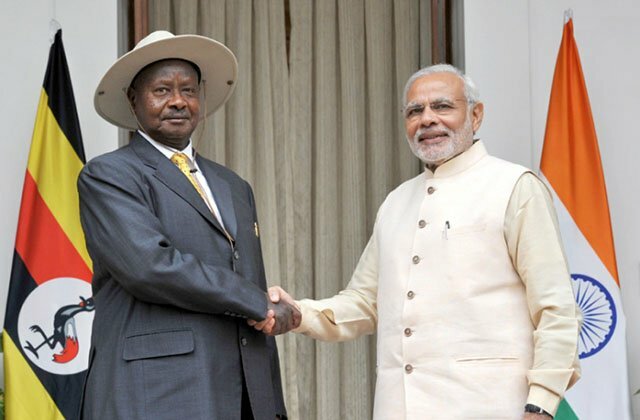 What does India want in East Africa and South Africa? Oh! The market which is largely run by Africans of Indian descent. Germany! 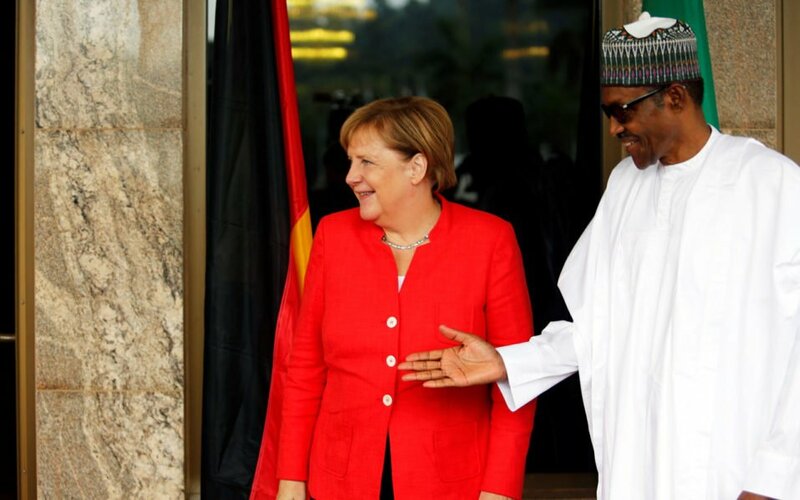 Their focus now is West Africa and German Chancellor Angela Merkel stepped foot in the continent as May was milking the cow. She toured Senegal, Ghana and Nigeria. Germany has an immigration issue that has taken away its prime focus of economic development. We want your milk but can you first help us take away some of your people for us to talk? This could be running through the mind of Merkel who is battling with the fact that around 14,000 nationals from Ghana, Nigeria and Senegal living in Germany illegally and a political threat if the immigration situation is not solved. Merkel was quick to sign business deals in the West African countries including the quick signing of a Memorandum of Understanding for German carmaker Volkswagen to start car assembling in Ghana. The rug is slowly being pulled under the feet of the United States which is currently the most generous in terms of aid to Africa. Donald Trump started crippling the relationship after calling African states a “shithole countries” and firing former U.S. Secretary of State Rex Tillerson during a visit to Africa in an attempt to clear up his mess. This was followed by a statement by the State Department disclosing that Ambassador Donald Y. Yamamoto, Assistant Secretary of State for African Affairs, will travel to Washington and Minnesota to meet with various members of the African diaspora. It got muddy when Trump suspended Rwanda’s duty-free benefits to exports clothes to the U.S. following the decision to increase tariffs on used clothes imports and a subsequent ban by 2019. The Rwandan government responded to the suspension saying that their garment companies are already being introduced to European buyers and they don’t need the United States to survive. A typical action symbolizing Africa Beyond Aid. However, listen to the speeches of African leaders who are championing the non-dependency mantra; they beg for grass to provide milk.